Forests are not only a means to an end. 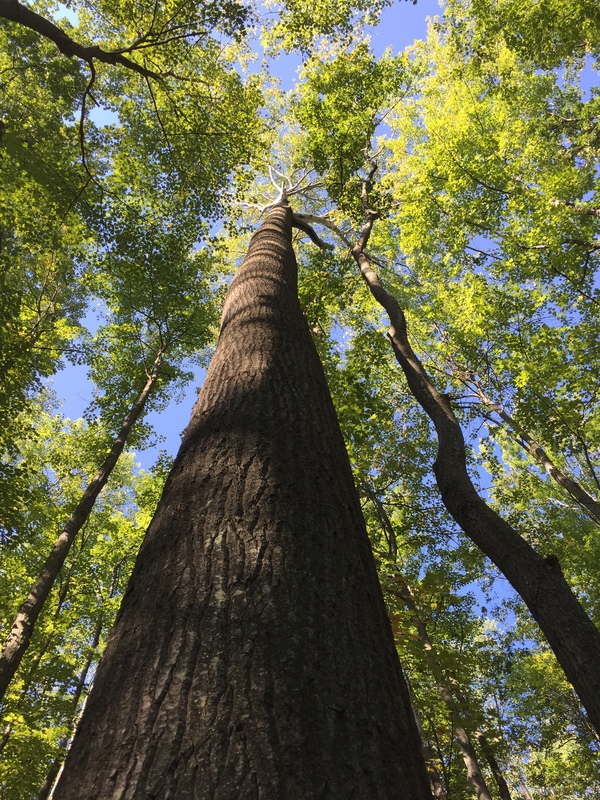 We sometimes forget that a forest is more than a group of trees that can make us money, or a habitat that will bring us the largest buck at hunting season, or a place to gather firewood, which are great too. However, Forests have stories too, if we think about the bigger picture in many cases and look beyond what is currently standing there we can begin to unravel what may have been before those trees we see now. I had the opportunity to meet a landowner who has already done this. 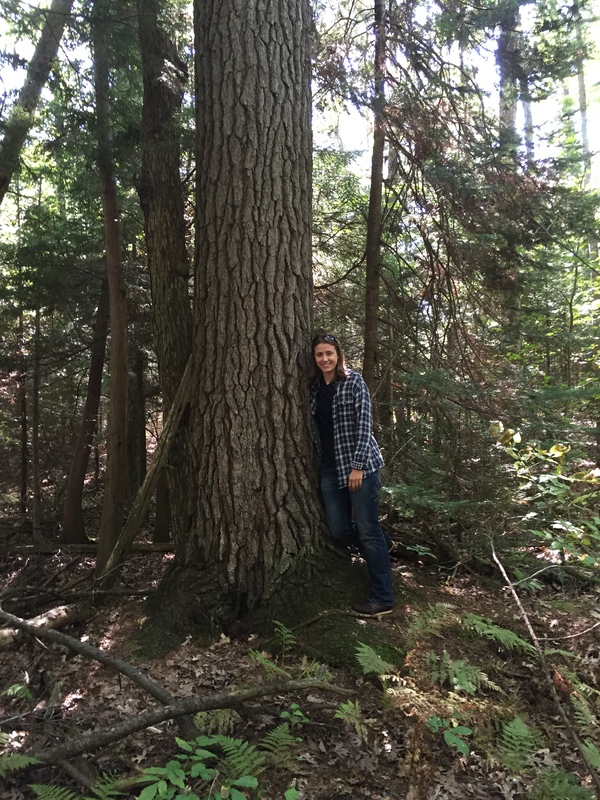 He already looked past the current state of his woodlot and can now picture the men years and years ago logging off the white pine in Clare County. His property is unique in its history for Michigan because it is a major landing ground for the logging done back in the 1870’s. To this day you can still see where the old railroad track was; ties are still being found on the property and you can still see where men physically dug holes along skid trails to make a flat trail so they could haul logs by horse and not tip. It was humbling and yet crazy to stand there and picture all those years ago men doing all this work. Its rare to stand somewhere and really be able to picture what was going on hundreds of years ago. To this day, you can also see the old stumps of harvested white pines throughout the property- which leads to this landowner’s theory on more history to his property. There is a drop off along the one edge/ corner of his property where you can see where stumps are then at the bottom of the hill there are no stumps to be found. So we can only speculate that the amount of pine down the hill was not great enough for them to harvest and drag back up the hill. There are still white pines down there- very large ones- that are assumed by the owners to be “virgin” pines! Ones left behind by the loggers back in the 1870’s because they were not worth it. We walked around and looked at them, they could easily be 150+ years old! Going back to just looking at the trees however, I was also blown away. When this landowner approached me he said his property is one I HAVE to see. 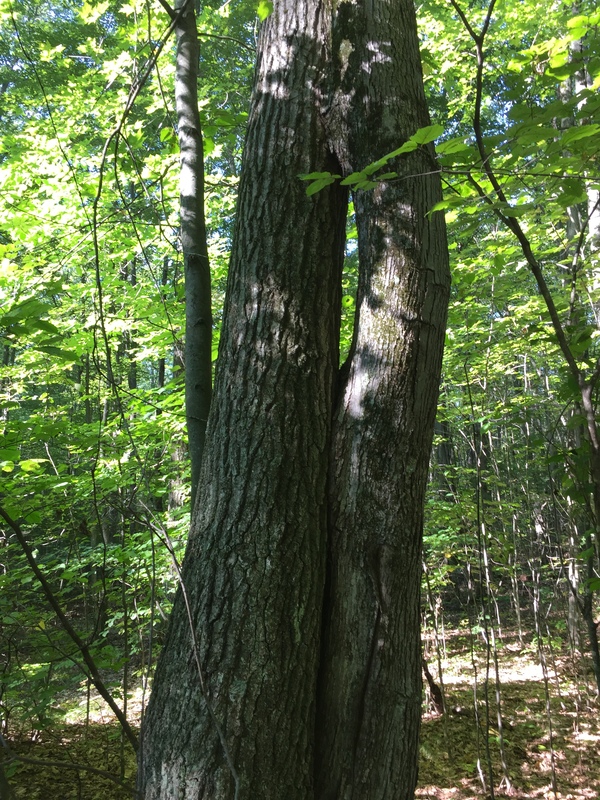 He had read my blog and got the idea that I love forests and am a tree hugger. Not a crazy assumption, he was totally right. He began to tell me about how he has veneer size aspen and oaks. Okay, I have see some nice aspen trees in my day- but the one monster of a tree I saw on his, had even me drooling! Normally when aspen starts to hit maturity it gets hypoxlyn canker or other diseases and decay. Not this one, it stood tall and beautiful, took my breath away. I stood next to it and looked to the sky to see it standing straight and tall into the beautiful blue sky. Truly amazing! I go on many site visits (beauty of my work) and every single one has something unique and beautiful to share. Next time you are out in the forest…look past the trees and shrubs and think about the bigger picture. Think about how it became a forest, where it came from, the history. Next Article Splish Splash & Bug hunting!